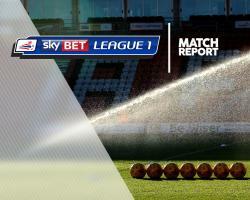 Port Vale's fight for Sky Bet League One survival suffered a setback at Spotland as Rochdale ran out 3-0 winners. It was a night when anything that could go wrong did go wrong for the Valiants, who were up against it from the 21st minute when Danny Pugh was dismissed for bringing down Matty Lund as the midfielder raced through on goal. To compound Vale's misery, defender Kjell Knops suffered a nasty injury to his knee in the build-up to the goal and was stretchered off. Donal McDermott doubled Dale's lead in the 43rd minute with a beautifully flighted curling effort over Deniz Mehmet in the Vale goal. The third goal arrived in first-half stoppage-time when Nathaniel Mendez-Laing was brought down by Ryan Taylor and Ian Henderson converted the resulting spot-kick. The result left Michael Brown's men two points above the drop zone with a game in hand on most teams around them.